Last night, I stitched up some blocks for the 4x5 Modern Quilt Bee. I used the pattern "Four Acres" from the book Modern Blocks (Stash Books) which I got for Christmas. Each block is in the colors chosen by each of my five bee-mates. I cut out all of my fabrics first and used chain stitching to assemble these blocks, which took about 4 hours total. These were quicker to put together than the whirligigs I made last round, but still not as quick as I expected. Sara: Rainbow colors with black background. This block is still missing a black border (I don't have any more black in my stash), but otherwise, they are good to go! This was a fun one, because I needed to display the ROYGBV color scheme with only four fabric choices. Luckily, I had some prints that could count for two colors! I've had some really great experiences with the 4x5 Bee, and the best part is that you can join in or opt out quarterly, when life gets too busy. 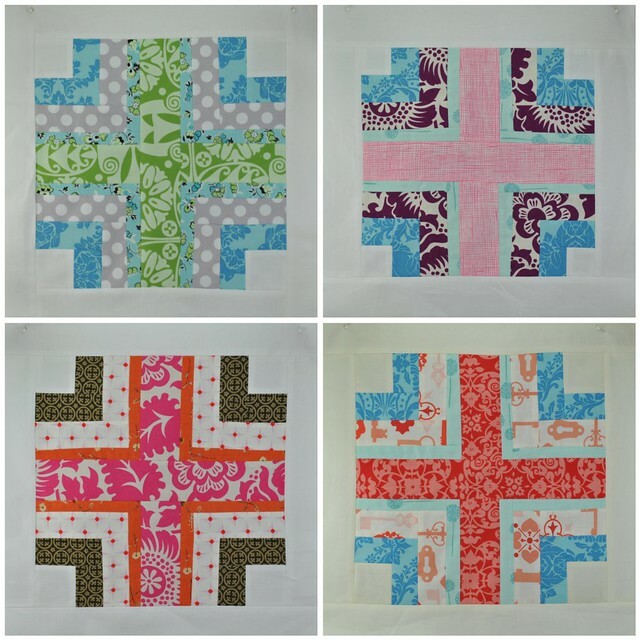 I am thinking I should have enough blocks after three quarters to make a pretty fun sampler quilt, so I might take a break for next quarter and just focus on putting that quilt together. 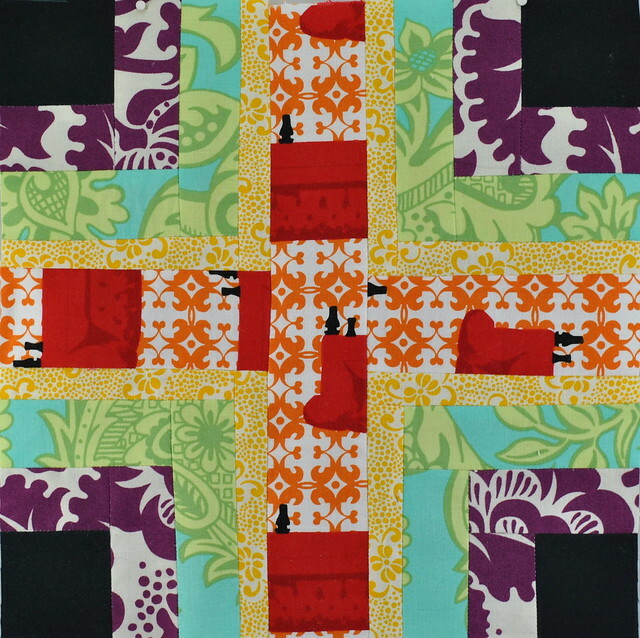 Do you belong to any online or in-person quilting bees? I liked my 2 quarters in the 4 x 5 bee - 3 x 6 bee was ok but I liked the requirements of the 4 x 5 bee better. I like in person bees, in theory, because you don't pay for shipping which can be up to 10-15$ a quarter depending on where you need to send your blocks to - I had 3 out of 5 of my partners being international one time. It isn't a lot - but for that much I can make my own blocks... and I like a lot of other online swaps better so I decided to sit out this quarter. We'll see if I decide to start up again sometime in the future. You blocks are so pretty! I love the color combos you've chosen. What a fun block! Enjoy this lovely weather here in corn country! Great blocks, Lindsay! The rainbow one is really fun. I have that block on my list as a possibility for my month in do.Good Stitches. Loving the blocks and mine turned up in the post today!!! Loving your blog as well!